A baby sling can be used immediately after your baby is born. A newborn baby can be carried with its whole body in the baby sling. When the child gets a bit older, the legs can be placed outside the sling when carrying. Baby slings are available in various versions and a difference can be made between the elastic version, woven model and the ring sling. A stretchable baby sling is ideal to use from birth till about the age of two to three months. The length is normally five metres. 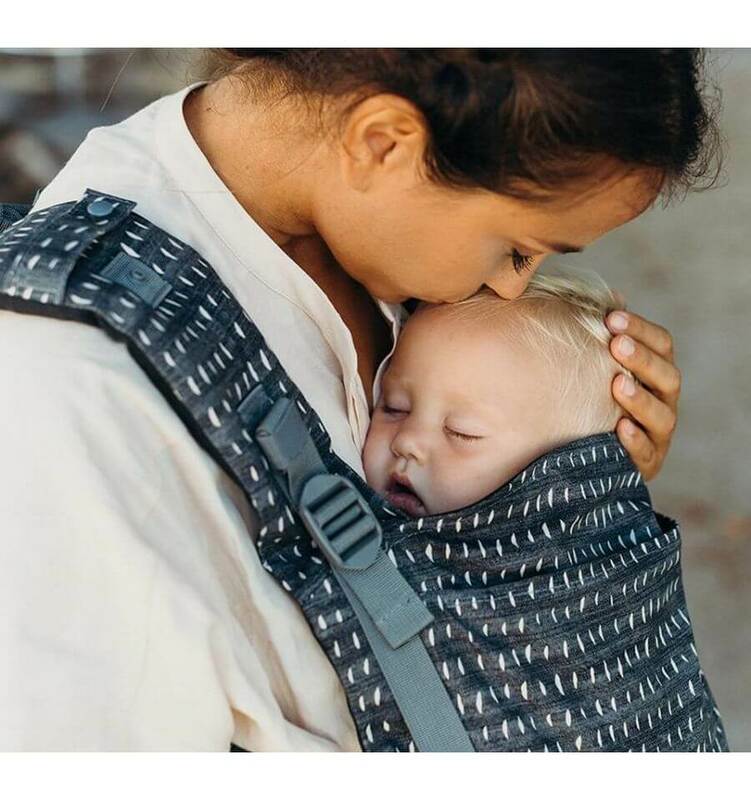 A woven baby sling has a length of two and a half metres to five metres and is considered a ergonomically and multifunctional baby carrier. This is because a woven baby sling can be tied in various ways. Therefore, you can carry the baby on your stomach, hip or back. A ring sling is another version. This type of baby sling is shorter and equipped with two rings and can be carried over one shoulder. A ring sling is ideal to use at home and for short distances outside. To tie the baby sling seems difficult but you will soon learn if you follow the instructions. It is recommended to place a new-born baby in the sling with its face towards you and its legs in the frog position. This is where the little knees are pulled up, it is similar to the crouch position. 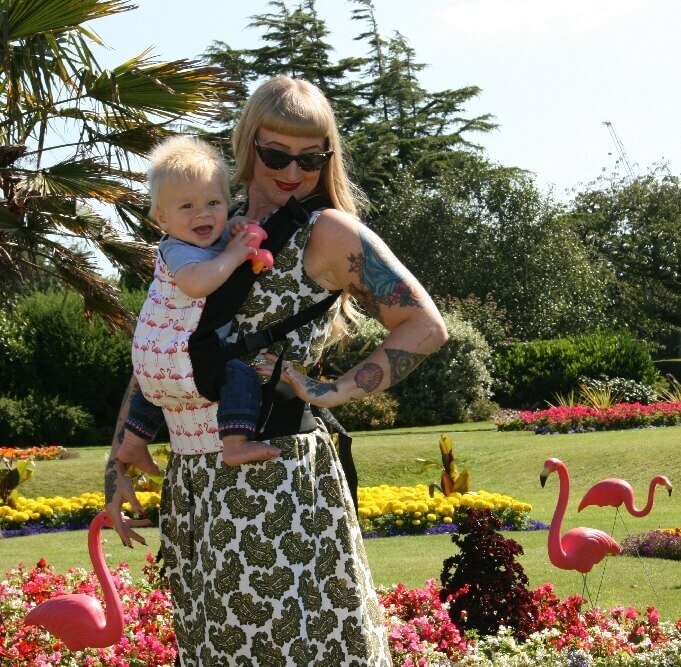 Baby slings have many advantage because you don’t have to carry your child on the arm, so you have both hands free. It also feels lees heavy when you carry your baby in a sling compared to when you carry it on the arm. Plus, it is pleasant for both to be near each other. Babies will feel lovely safe and secure. In our offer you can make a choice from various baby slings, both the stretchable version, the woven baby sling or the ring sling. The models are available in differing quality brands that pay attention to quality and ergonomic for parent and child. So you will always find a baby sling that matched your preference. Ontworpen door een Frans echtpaar in 2005, heeft Je Porte Mon Bebe (wat "Ik draag mijn baby” betekent) zich ontwikkeld als de leider van draagdoeken in Frankrijk. 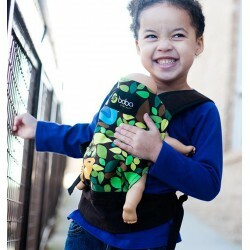 The Neko (Half-Wrap Conversion) Baby Carrier is an elegant half-wrap conversion buckle carrier. The main panel is made of soft, stylish jacquard weave which compliments the wide suppotive waistbelt. The shoulder straps generous padded cotton canvas for extra comfort. Suitable for babies from 7-15kg, approximately 4-6 months up to 2+ years. (7 to 15 kg).